Do you know what the hardest thing for a German learner is? Finding proper reading material that they can handle...which is precisely the reason we’ve written this book! Teachers love giving out tough, expert-level literature to their students, books that present many new problems to the reader and force them to search for words in a dictionary every five minutes - it’s not entertaining, useful or motivating for the student at all, and many soon give up on learning at all! 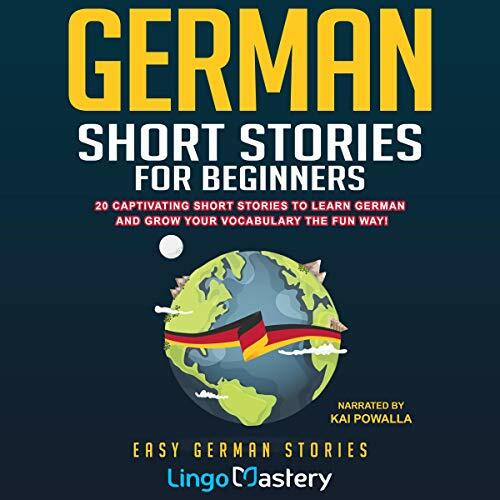 In this book we have compiled 20 easy-to-listen-to, compelling and fun stories that will allow you to expand your vocabulary and give you the tools to improve your grasp of the wonderful German tongue. Each story is interesting and entertaining with realistic dialogues and day-to-day situations. The summaries follow a synopsis in German and in English of what you just read, both to review the lesson and for you to see if you understood what the tale was about. At the end of those summaries, you’ll be provided with a list of the most relevant vocabulary involved in the lesson, as well as slang and sayings that you may not have understood at first glance! 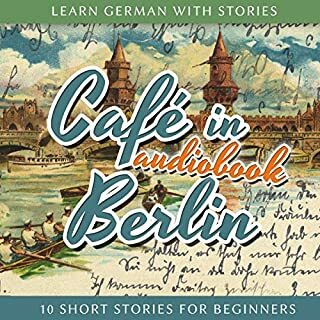 Finally, you’ll be provided with a set of tricky questions in German, providing you with the chance to prove that you learned something in the story. Don’t worry if you don’t know the answer to any - we will provide them immediately after, but no cheating! We want you to feel comfortable while learning the tongue; after all, no language should be a barrier for you to travel around the world and expand your social circles! So look no further! 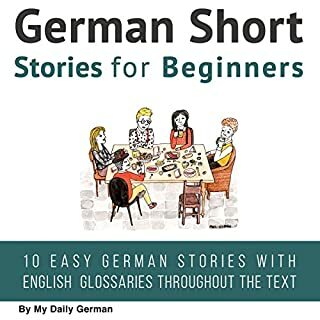 Download your copy of German Short Stories for Beginners and start learning German right now! 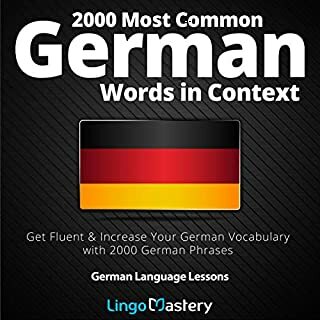 This book has been written by a native German author and is recommended for A2+ level learners. I have previously used the beginner French conversation from Lingo Mastery and found it to be a good product. 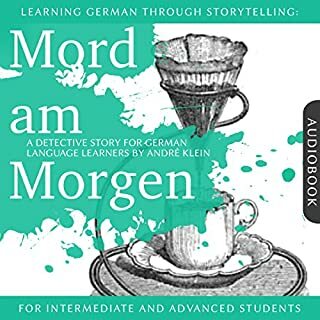 With this German-language instruction, it is up to the same high standard, but the focus is obviously on stories with reading/listening comprehension. 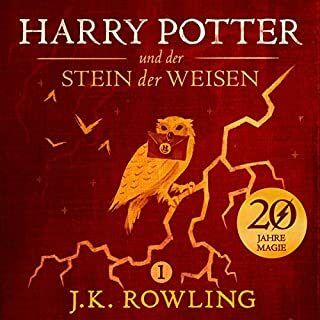 In terms of organization, the story is presented in German. Then it is summarized in both German and English. The vocabulary is read aloud twice, once slow and then natural native speed. The end of each story has a set of comprehension questions. The narrator's voice is of prime importance with helping language learning. He speaks very clearly, and the care he uses when enunciating the vocabulary is invaluable. 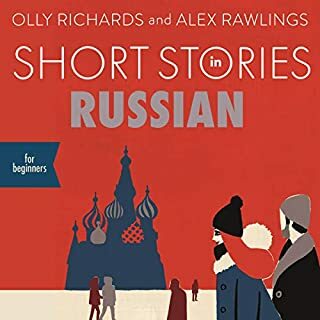 The only complaint I have about the narrator is that his English is so good that on the very rare times he mispronounces something in English, it is very jarring. He had a few zingers in the first two stories, but it got better. I didn't necessarily enjoy all the stories as pure entertainment, but they were appropriate to the learning level and stretched language abilities. Yes, a language learner could listen, but the best benefit will come from using both the audio and the PDF. Recommended without reservation to beginning German learners.